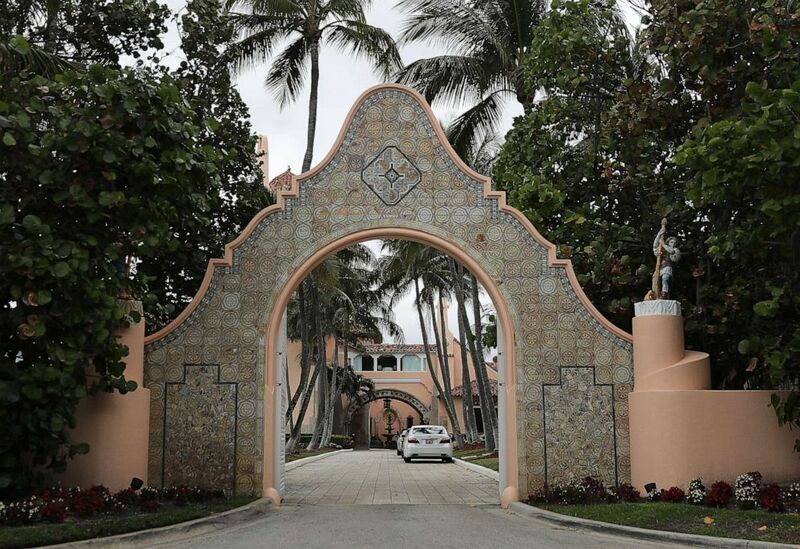 Yujing Zhang, the Chinese national who sparked security concerns after she allegedly talked her way into the president’s Mar-a-Lago country club, had in her hotel room thousands of dollars in cash, multiple sim cards and a device used to detect hidden cameras, prosecutors alleged Monday. At a detention hearing in a Florida federal court, prosecutors said nine USB drives and several credit cards were also found in Zhang’s hotel room. The government is still investigating whether Zhang was involved in espionage activity, prosecutors said. A public defender for Zhang, Robert Adler, pushed back in court against the idea Zhang was a spy and said she did not have the type of tools “associated with espionage activities” like lock-picking devices or Wi-Fi interception equipment. Adler declined to comment on the hidden camera-detecting device Tuesday, telling ABC News that under discovery rules the defense did not yet have access to it or any of the other items seized by investigators. The prosecutor, Ronaldo Garcia, reminded the court that Zhang has not been accused of espionage. Rather, he attempted to paint Zhang as a liar, in part because she told the court last week that she “maybe” had more than $5,000 if she combined some money she had in cash with the small amount in an American bank account. But Monday, Garcia said she had $7,500 in U.S. cash alone and another $600 in Chinese currency. “She lies to everyone she encounters,” Garcia said. Zhang’s attorney countered that his client “made no direct misrepresentations” to agents during the incident at Mar-a-Lago, and said she cooperated with all instructions. Zhang is currently facing a count of lying to federal agents and a count of entering a restricted area stemming from the Saturday March 30 incident. According to a criminal complaint filed against Zhang, at around noon on that Saturday, she appeared at a Secret Service checkpoint outside the president’s country club and presented two Chinese passports. There was some confusion over whether she was a relative of a club member, and Mar-a-Lago staff cleared her through the checkpoint, the complaint says. She went through a second Secret Service checkpoint, this one where she was screened by a magnetometer for weapons or explosives, before making her way to the club’s reception area. Only there did a receptionist discover Zhang was not on the club’s access list and called the Secret Service back. When questioned by the Secret Service, Zhang said she had been told to attend a United Nations Chinese American Association event – also referred to as a “United Nations Friendship Event” -- that night at Mar-a-Lago by a Chinese friend named “Charles.” The event was not on the club’s schedule. President Donald Trump was in Florida at the time, but was off-site at a nearby golf course during the incident. On Monday, the defense indicated that Zhang was attempting to attend an event advertised in China by an event promoter named Charles Lee and had paid an organization purportedly linked to Lee some $20,000 in February. ABC News previously reported that Lee was listed as an officer on a now-defunct website for a group called the “United Nations Chinese Friendship Association.” No such organization appears in an online official database of U.N.-affiliated groups. ABC News has been unable to reach Lee for comment. The complaint said that when Zhang was detained she had other electronics on her, including four cell phones, a laptop and a thumb drive that the Secret Service said a preliminary analysis showed contained some kind of malware. On Monday, a Secret Service agent said that the malware was invasive and when it was plugged into an investigator’s computer for analysis, it automatically started downloading a suspected malicious program and the analyst had to abort the technical probe. Asked about the Mar-a-Lago incident last week, Trump called it a “fluke.” But Secretary of State Mike Pompeo Friday linked the breach to a broader “threat” he said China poses to the U.S.
James Mulvenon, a Chinese espionage expert, said the counter-surveillance equipment that prosecutors allege was found in Zhang’s hotel room make her “certainly more suspicious” as a potential counter-intelligence threat, but he said he was still skeptical of her connection to a professional espionage operation, considering what he called terrible tradecraft. Don Mihalek, a former senior Secret Service agent, shared the skepticism. A law enforcement source told ABC News the hidden camera detector is one that is commercially available. Former senior Department of Homeland Security official John Cohen, however, said the incident highlights a larger concern. In an initial court appearance last week, Zhang said she worked as a consultant to a Chinese investment firm. The Chinese government said last week that it had been notified of Zhang’s arrest and is providing consular assistance to her. Prosecutors said Monday Zhang came to the U.S. on a tourist visa, which has been revoked. At the end of the hearing, Magistrate Judge William Matthewman said he needed more time to decide whether Zhang will be held in detention before trial and ordered the hearing be continued next Monday. Editor's note: This report was updated to include the defense attorney's response to an ABC News' inquiry about the purported hidden camera-detecting device. ABC News' Jack Date contributed to this report. Nery Ynclan is a freelance producer based in Florida.